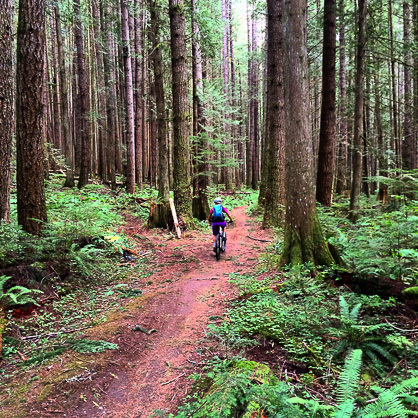 Wonderland is an out and back singletrack trail that has a very mellow grade. It starts on the road into Alice Lake Provincial Park and pops out just north of the Brackendale turn off on Highway 99. This trail can be ridden in either direction. Wonderland is fun for just about anyone with two wheels. On a run bike? No worries. Wonderland, especially riding North to South, is perfect for the little groms on their run bikes. Even if they are a little older, the beauty of Wonderland Trail is the faster you ride it, the harder it gets. Lots of local kids have progressed on this trail from run bikes to full suspension cross country rigs and they still enjoy it. Riding with kids is always a good time. Otherwise known as the golf course trails, ‘cause let’s face it, the above is a bit of a mouthful, these are the easiest trails in Squamish. They have an almost flat grade, are wide gravel and almost anyone can ride them. The bonus here is there are a bunch of little singletrack offshoots that run along the actual spawning channels that are a little more challenging, but still beginner friendly. Access is easy. Park on Mamquam road just east of the Squamish Valley Golf Club and you’re right there. Want to sharpen your mountain bike chops in a fun and safe learning environment? The dirt features at the skills park include berms, jumps, bridges and teeter-totters that will have you playing all day long. There's ample space to spread out after and have a picnic. Located in Brackendale, these beginner to intermediate singletrack trails give a host of options for riders who want a slightly greater challenge than the golf course trails. You can do loops, out and backs and there are even some technical features and a few options to ride woodwork. This is a good trail network to introduce kids to riding over roots. Access is best from Ross Road, near the north end or along the Squamish valley road just west of Highway 99. Probably the most famous Trail in Squamish, Half Nelson is a bike park style trail of berms, rollers and jumps. It’s a bit of a pedal up to the top, but absolutely worth it. This is an intermediate trail, so every feature is rollable, which is to say your wheels don’t have to leave the ground. This is one of the most fun trails in all of BC and once your little ones are ready to ride here, we guarantee they’ll want to lap it all day. Access is up the Garibaldi Park Road where you can park right at the exit of the trail. These two trails are great for learning to corner, riding berms and getting ready for Half Nelson. Again, the faster you ride, the harder they get. Located just between Garibaldi Highlands and Alice Lake Provincial Park, the access is along the Mashiter Trail in Garibaldi Highlands. Connecting neighbourhoods form north to south and recreation sites such as Brennan Park Recreation Centre and Smoke Bluffs Park, the paved Corridor Trail also serves as a commuter route. Starting in the southernmost neighbourhood of Valleycliffe, and ending in Brackendale. Riders will pedal past the Blind Channel. 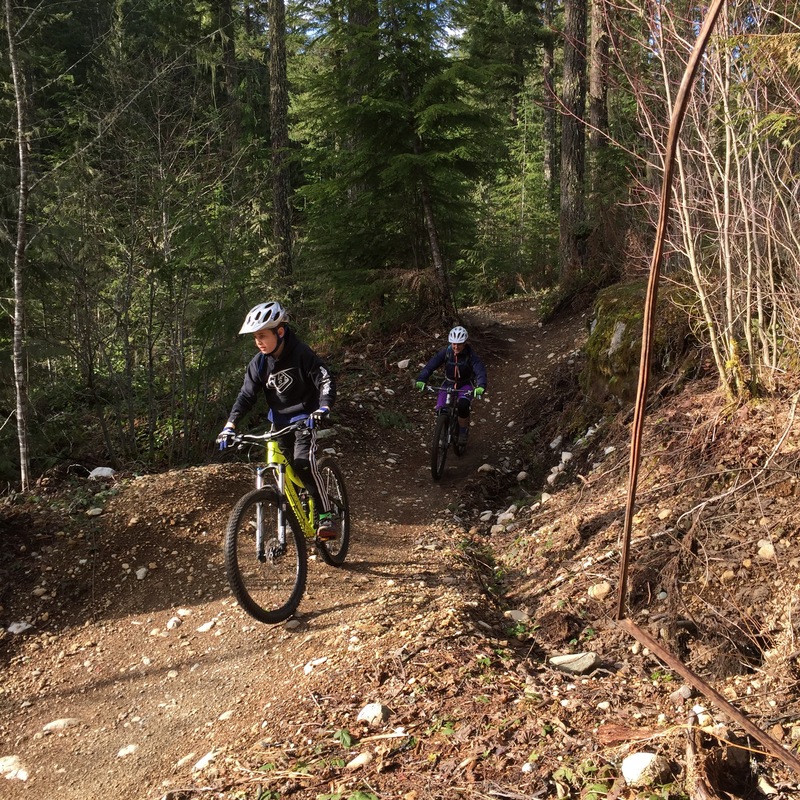 There is lots to ride in Squamish, with trails for all ages and abilities so come on down and enjoy some of the world’s best bike trails.